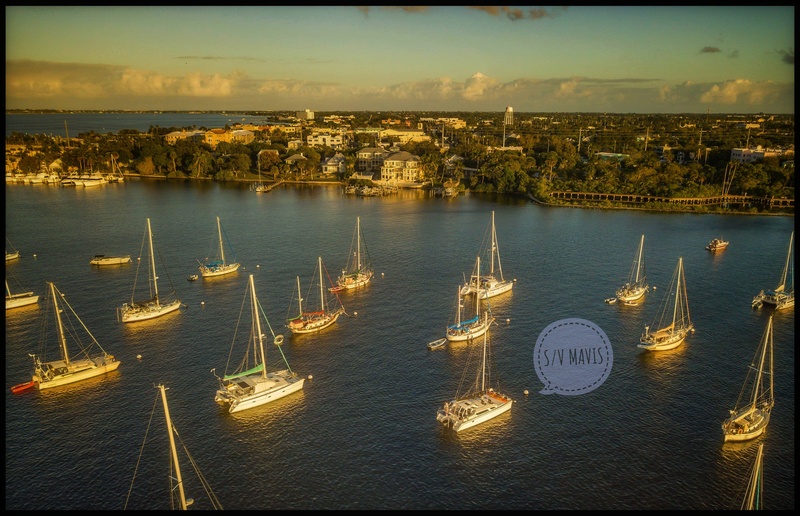 Over the last two months we’ve settled in very nicely at the Sunset Bay Marina and Anchorage in Stuart, FL. In our last blog post I explained that we were floating comfortably on mooing ball #32 out in the anchorage. We were getting used to life out there and had adjusted to the the dinghy trips, power and water conservation, and being detached from land. But when a slip opened up a few weeks ago we grabbed it without hesitation! We now occupy slip A29 and we’re getting spoiled with being able to hop on and off the boat when we want to. We are also loving having solid access to the marina’s excellent WiFi. Being on shore power is pretty awesome too. In general, life is much more “normal” now that we are tied to land. It’s not quite as peaceful and serene in the marina but I’m not complaining. It’s like having a waterfront apartment. The view down A dock where Mavis now lives. The sunsets here are fantastic. Sometimes when I’m out on a walk, I have to pinch myself when I realize I’m warm and in shorts and flip flops in January. I usually spend my winters dreaming about being able to go boating. It feels great to know that we have successfully extended our boating season! Did I mention how fantastic the sunsets are here? We’ve had a few more visitors on board since our last update. Rob (aka Babou) came to visit in early January. 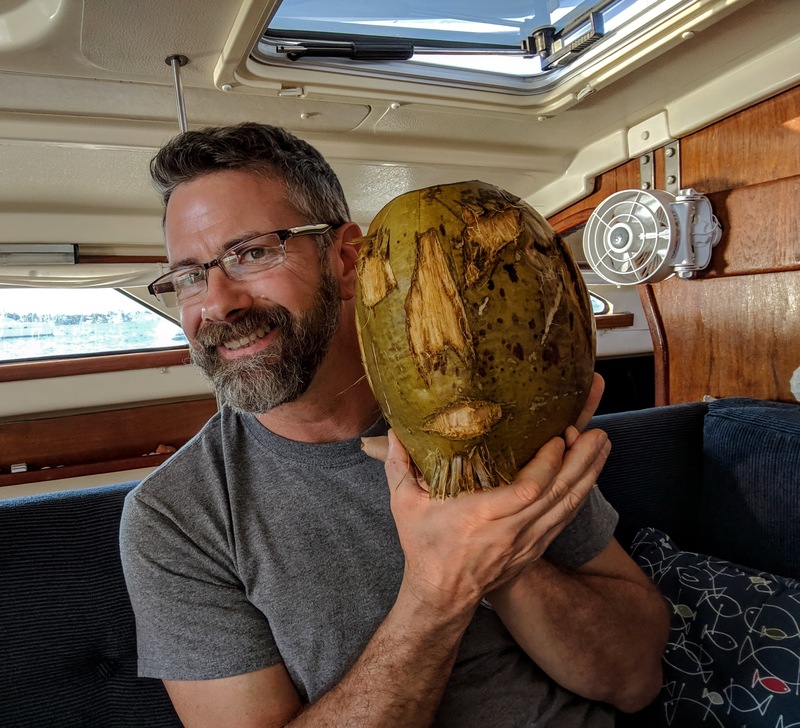 An official member of the crew, Rob was on the boat’s maiden voyage, helping us sail our girl home from Deltaville, VA to Oakdake, NY last spring. 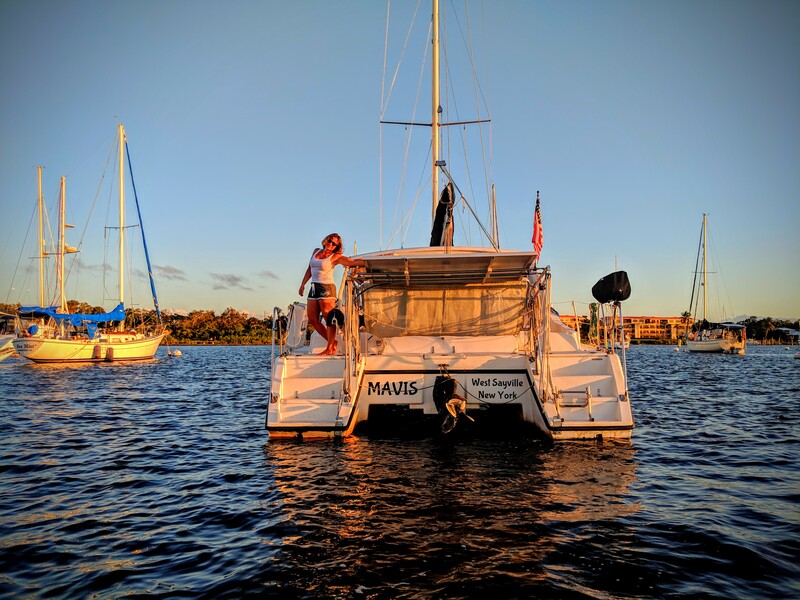 That brave guy was aboard when I was just getting to know Mavis and learning how she handled, finding what was broken, and figuring things out in general. He’s been my best friend for almost 30 years now and it was so good to see him. We are working on getting him back down here with his less-salty wife Mary who’s also a dear friend. 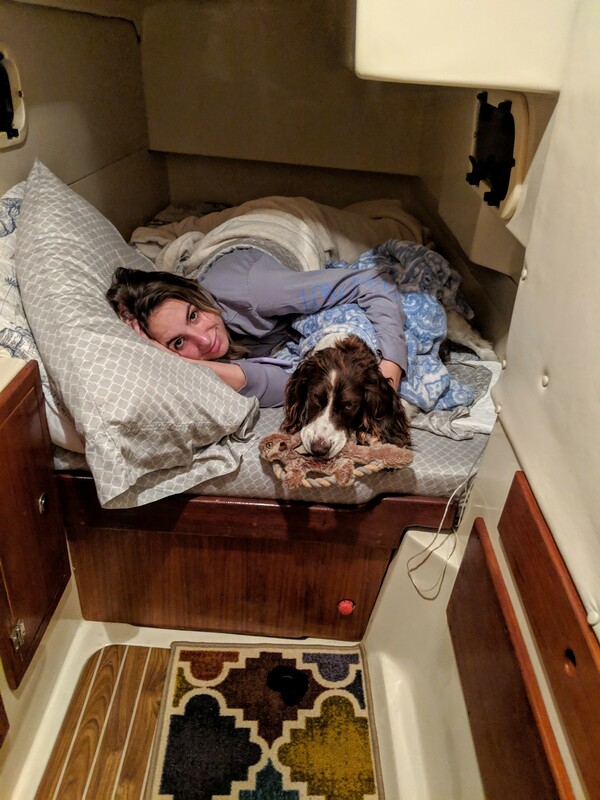 She doesn’t share Rob’s love for sailing and boating but now that we are on a dock I think she might actually enjoy “glamping” for a few days. One of the three musketeers needs a tan. Rob’s a great friend and he doesn’t need much to be comfortable on board. He stayed with us for about a week and before we knew it, it was time to bring him back to the airport. It was awesome having Babou back on board. Our little starboard guest cabin is getting lots and lots of use and this makes us happy! Rob was only gone a few days before our next guest, my daughter Sophia arrived. Our little starboard guest cabin is getting lots of use! My father was also in Florida so he came by and for the first time I can recall, all cabins were occupied. 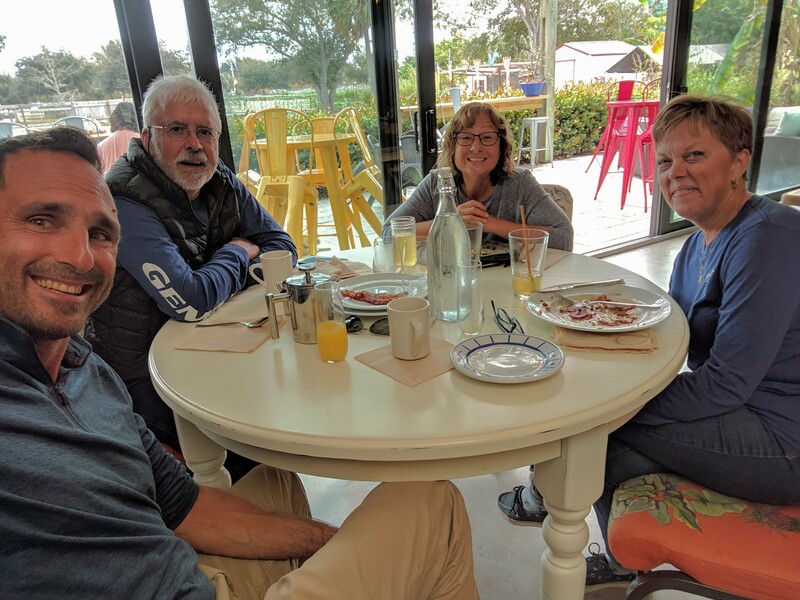 The weather for Sophia’s stay wasn’t great with strong winds, lots of clouds, and high temps only in the high 60s most days but we still had a good time with her. 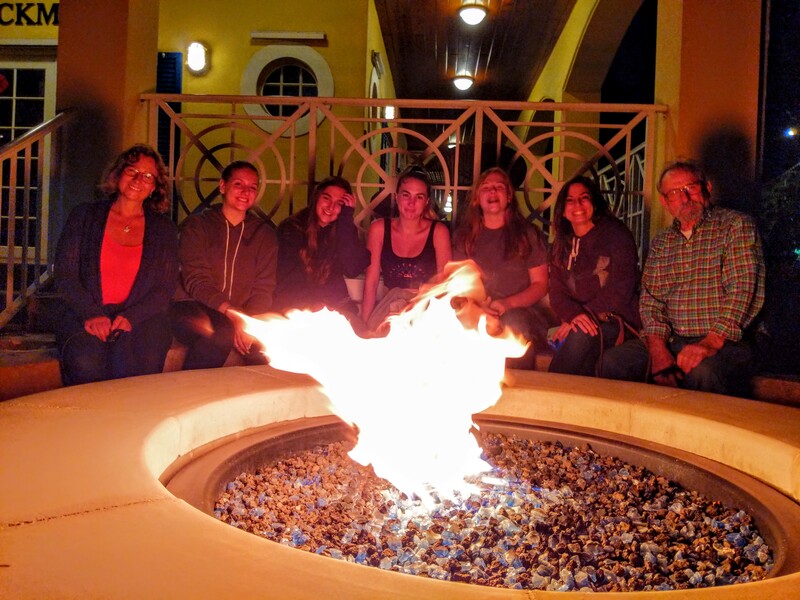 We caught up with my sister who lives nearby and Sophia got to have a nice family dinner with her father, her grandfather, her aunt and three cousins as well as her evil stepmother Cindy. It really was great to see her. I hope she’ll visit us again soon but her work and school schedule make it difficult. I’m enjoying getting to spend some time with my sister and my nieces and nephew. Hoping to see them some more and take them sailing before we shove off for the islands. Papou (my father) relaxing in Mavis’ cockpit. The Captain’s happy to see his daughter. I really meant it about the sunsets here! “A ship in harbor is safe — but that is not what ships are built for.” — John A. Shedd. 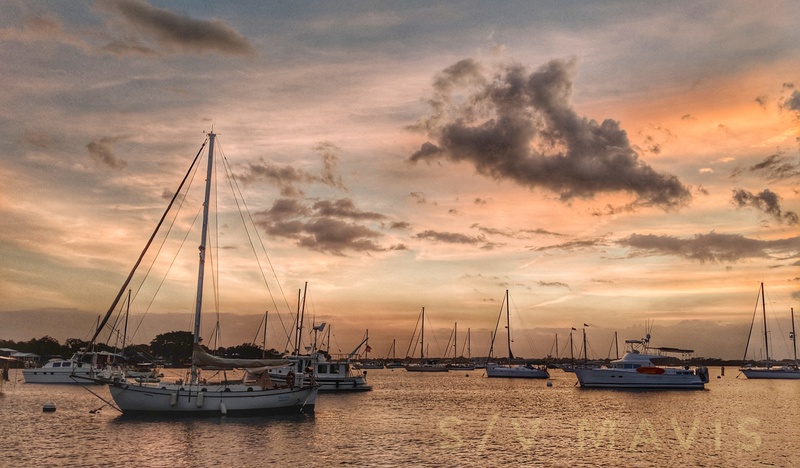 I’ve started making final preparations to leave the safety and comfort of the marina to sail for the Bahamas. While the crossing won’t be our longest open ocean passage, it will take us farther “out to sea” and away from land than I’ve been before. In reality, it’s a pretty simple trip. After completing it, though, we’ll be able to call ourselves international sailors. 🙂 I’m looking forward to the challenge. Getting out of your comfort zone is critical if you want to broaden your horizons. We have lots of provisioning to do. I need to do an engine oil change and go over all of Mavis’ systems but the boat is pretty much ready to go. Our screecher headsail was repaired by Mack Sails. We even had our bottom cleaned by a diver who got rid of the barnacles and slime that had begun to accumulate. The plan is to wait for a good weather window right here in our slip. We need a window where there has been and will be no north wind. Ideally, a southwest wind of about 15 knots would be pretty perfect. It’s important that we pick our window very carefully as we will be crossing the gulf stream, a river of warm blue water in the Atlantic Ocean. This river is about 25 miles wide and flows northward at around 2 to 3 knots. When the winds blow from the north (very common this time of year) you often get nasty conditions and monstrous waves out in the gulf stream. The stream is only about 10 miles from the shore here and sitting on the beach you can often see what they refer to as a parade of elephants marching along. These are the huge waves that form in the gulf stream. 10 to 20 foot seas are not my idea of a good time. Needless to say we will be very careful selecting our weather window. Once a window appears we will sail from here at around noon to the St. Lucie inlet and hang a right turn once out in the Atlantic Ocean. Even though we are just about directly West of our first landfall in the Bahamas as West End, we need to get considerably south before crossing to compensate for the strong current we will encounter in the stream which will push us north. 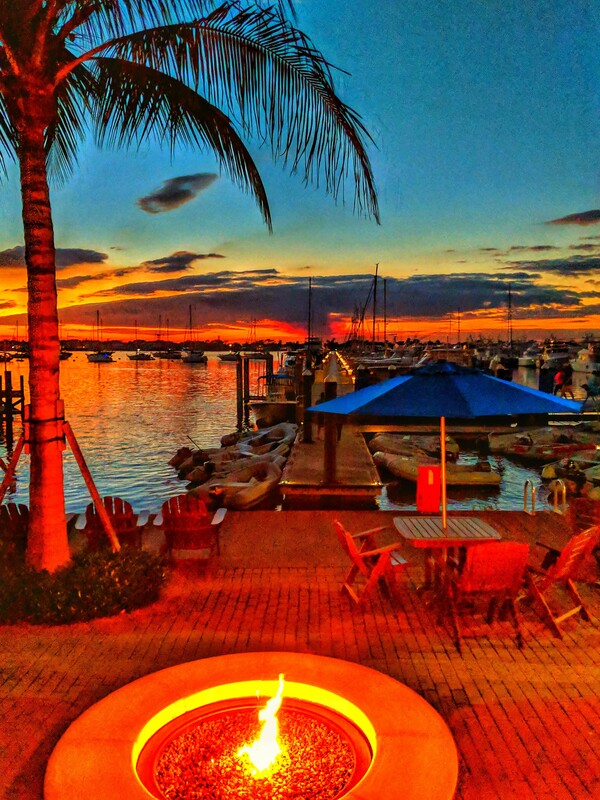 So we’ll sail south along the coast of Florida until we are about 10 miles south of the Lake Worth inlet in West Palm Beach where we will make a turn to the East and head out to sea. 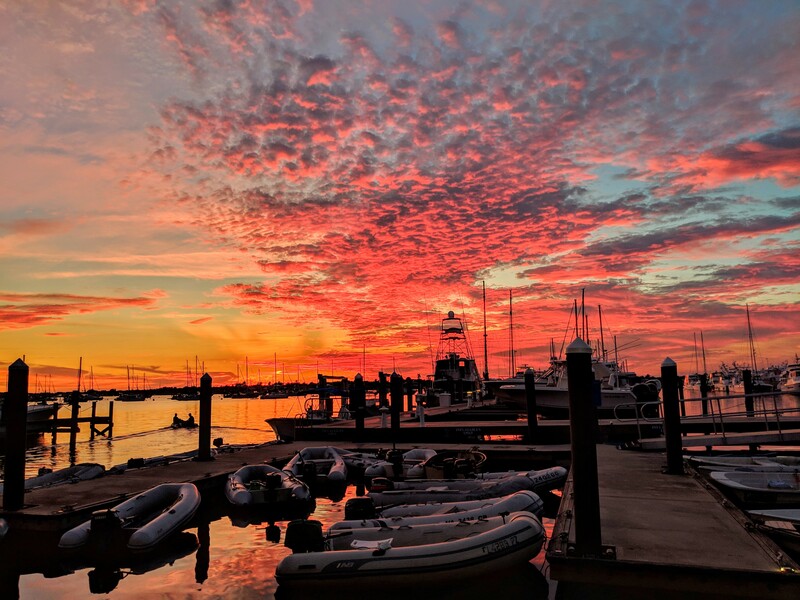 Our overnight passage will take us across the gulf stream and as the sun rises, we should be in the crystal clear waters off Grand Bahama Island where we will clear customs. The fee to bring Mavis into the Bahamas is only $150 because we’re under 40’. Boats 40’ and longer pay $300. This fee covers our cruising and fishing permits for up to one year. Clearing into a country works more or less the same wherever you go. Upon arrival, you fly the yellow quarantine flag which signifies that your vessel has not yet cleared customs. The captain is the only person permitted to leave the vessel and takes the boat’s documents, customs forms, and passports for all crew and passengers to the customs and immigration office. We will also need to bring Willow’s import permit which we hope to have in place soon. After completing a customs declaration form they may or may not inspect the vessel. Then, once we are officially cleared in, the quarantine flag comes down and we fly the flag of whatever country we have cleared into as a courtesy. As I’m writing this I just glanced over at the Bahamian flag sitting on a shelf. This is getting real! We’re going to the islands! The weeks we spent on the mooring were a very good test of our self sufficiency in preparation for departure next month. The solar panel worked flawlessly keeping the battery bank topped up. I practiced and refined the process of refilling our water tanks from jerry jugs brought in on the dinghy. We ran our refrigerator for weeks on end using propane. I feel confident that we will be comfortable anchored out in the pristine waters of the Bahamas but I have some reservations about our ground tackle. A boat’s ground tackle is comprised of anchors, chain, rode, snubbers, bridles, etc. It’s the entire anchoring system and it’s what keeps the boat where it’s supposed to be. Time on the mooring ball helped us ensure all systems were go to be away from land for extended periods. We’ve got two anchors aboard. The Danforth that came with the boat and the Rocna Vulcan that I upgraded to when we commissioned last spring. 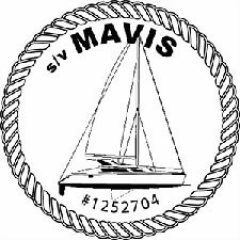 Mavis doesn’t have an anchor windlass. A windlass is a machine that is like a winch that makes raising and lowering the anchor easy. You just hit a button to raise and a button to lower. Aboard Mavis, we do things the simpler, old-fashioned way and drop and hoist our anchor by hand. 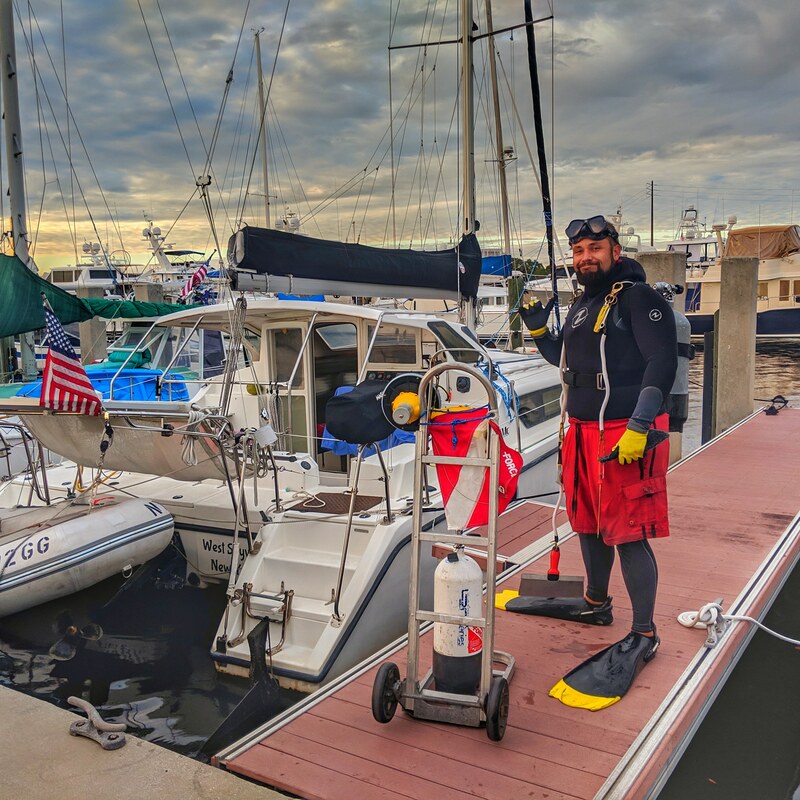 The procedure for manually hoisting an anchor is usually to motor the boat slowly toward the anchor while hoisting the anchor rode up into the anchor locker. Ideally, this requires somebody at the helm and somebody on the bow. The somebody on the bow is usually Cindy but It should be me. This became our procedure because our old Westerbeke’s transmission was a little finicky and at the idle-slow speeds required to creep up on the anchor it needed a very precise touch that I had developed but I never got around to teaching Cindy that skill. It was hard to know when the boat was in gear and it would rattle a lot at idle speed. As a result, when we needed to get the anchor up, Cindy would scramble to the bow and point at the anchor. I’d putt up to it as Cindy worked out her traps by pulling the line and chain until the anchor was all the way up. Because I didn’t want to make this manual job any more difficult by adding lots and lots of heavy chain, I skimped on chain and only went with about 25’. The rest of our anchor rode is 200’ of nylon anchor line. We dragged our anchor a few times in strong winds and I need confidence in our anchoring system so I’ll be heading to West Marine today to grab another 100’ of chain. It’s going to be more of a workout but we will sleep much better at night knowing we won’t wake up on the beach. Also, because our new engine and transmission are silky smooth, there’s no longer an excuse for having to be the one at the helm. I’ll be the one on the bow going forward and Cindy will operate the boat. We’ve met some really cool people here and made some good friends. Jim and PJ aboard the catamaran Hail Mary are heading to the Bahamas as well. We were neighbors in the mooring field and over the past month and a half have really enjoyed their company. 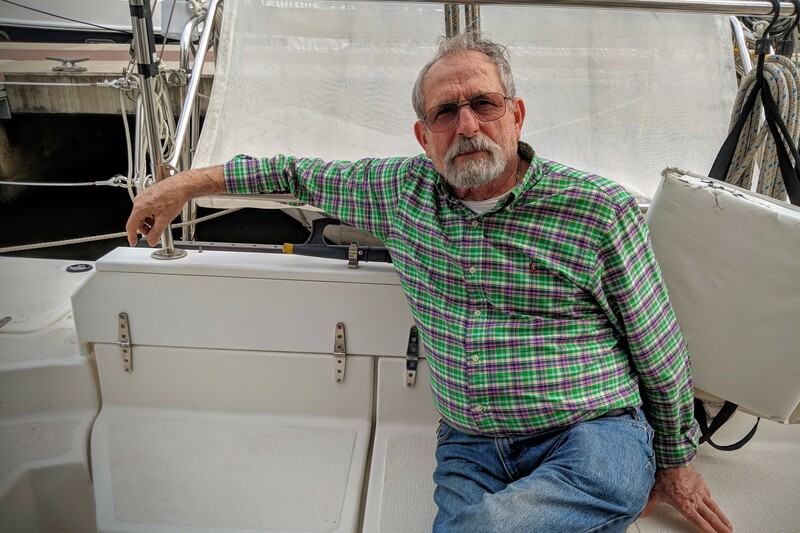 Jim is a retired tugboat captain who built his own 64’ catamaran and sailed it to Hawaii. He’s forgotten more about all things nautical than I’ll ever know and he’s just a cool guy. His wife PJ is equally as cool and fun to be around. She’s a bit apprehensive about the crossing having experienced some rough conditions offshore but despite her concerns, she seems excited to be heading over soon. Together they make a great crew. 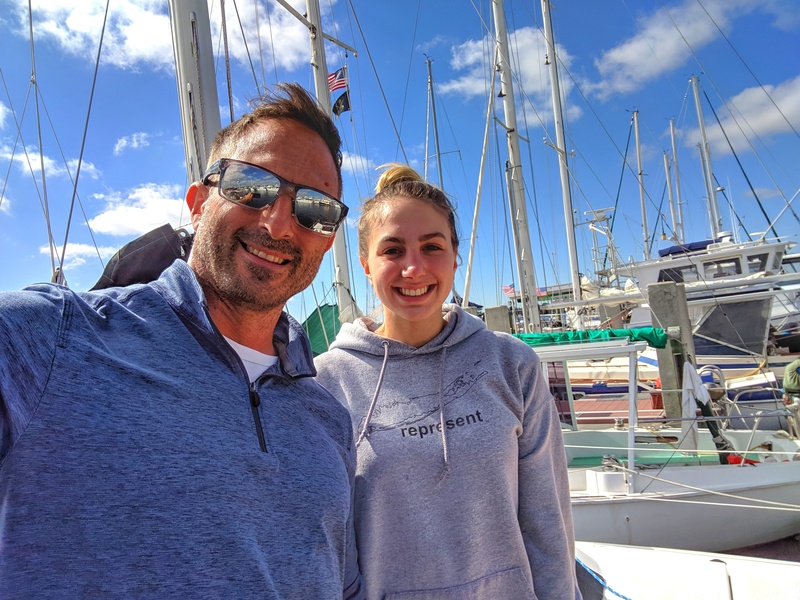 They’ll likely sail over a few weeks before us but we hope to connect with them in the Abacos! We’re really happy to have met them. We’ve had some business challenges out here and I’m realizing that even though the work is getting done, I’m not as effective out here as I am at my desk. I find it hard to work on complex projects that require me to lock myself away in my office for hours interruption free. I also just feel generally not “on my game.” I’m kind of looking forward to being able to sit in my spacious office and just work! I’m feeling like I need to reinvent myself and launch some new businesses ventures when I return in the spring. For now, I’m trying to keep the wheels on the bus and give thought everyday to what I want to be when I grow up. Stay tuned for our continuing adventures. It is always fun to read your updates. Heading to the Bahamas sounds so cool!!! Glad you had some company and are getting to spend time with family. Enjoy life while you can! Next Next post: Almost Time to Go!